Planning your holiday in Kumarakom but confused about what to do? What pursuit to do in Kumarakom, may be question one asks when some one suggest this destination. Kumarakom – an enchanting backwater destination – offers unworldly natural beauty and charm. Comprising of island clusters surrounding the Vembanad Lake, this picturesque tourist spot is a perfect paradise for nature enthusiasts and a treat to the eyes for ornithologists. In addition to the numerous places to visit in Kumarakom, the city also has some absolutely pleasant activities including boating, angling, strolling, and quick & short treks. These super cool activities for families, couples, and friends are some of the best ways to chill out. Besides the unparalleled beauty of backwaters, these affairs to do in Kumarakom make it one of the most visited destinations in the God’s own country. How much one can indulge in depends on the duration of stay. But even during a short and crisp vacation, one can plan and extract the maximum fun of this pristine backwater scene. Residing in a houseboat and drifting through the tranquil and charming backwaters is one of the best things to do in Kumarakom. The jaw-dropping backdrop, lush green vegitaitons along the banks, and gorgeous Vembanad Lake (formed by estuary of 10 West flowing Rivers) pulls plenty of tourists to rent a Kumarakom heritage houseboat and cruise in it. These Kumarakom Heritage houseboats are endowed with all essential and luxury amenities and run by professional agencies whose expertise lie in offering utmost delight while exploring the in-depth exquisite upper Kuttanad charms. Duration of Cruise: Depending on the holiday duration, one can float in the traditional houseboats for some hours or spend the entire day &night or a week onboard. The Houseboat cruise usually commences at noon with lunch and ends the next day with breakfast at 10 am. The houseboats would be stationary from 06:30 pm to 07:30 am are normally berthed to lake side of Vembanad at the end of main land. On exceptional cases Mid lake anchorage is provided with permission of authorities. Kumarakom Houseboat Tariff: Approximately ₹ 7500 is charged for a 22 hours cruise, including the stay and three time meals. The prices, however, may vary from Houseboat operator to operator and season to season. Further the category of houseboats, amenities on board & services required determine the rate of Houseboats. A vacation in Kumarakom will fill you with fond full memories. 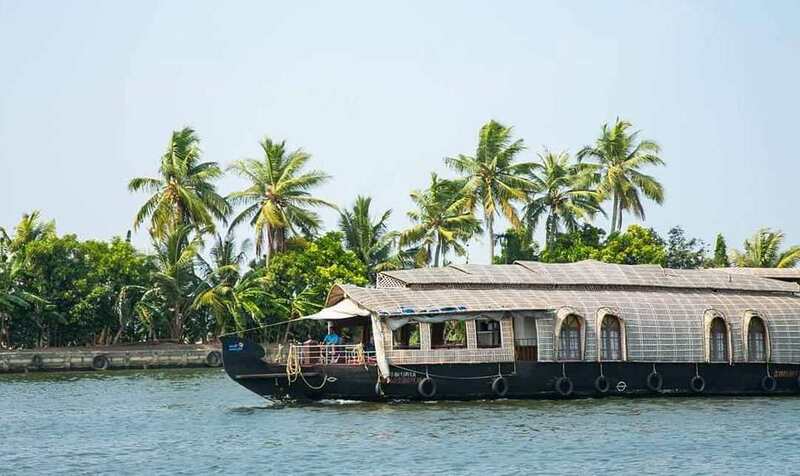 Witness the pristine backwaters with luxurious houseboats & superb hospitality Book a suitable Backwater holiday with Backwater Routes Houseboats or ATTP INDIA. Best prices guaranteed. 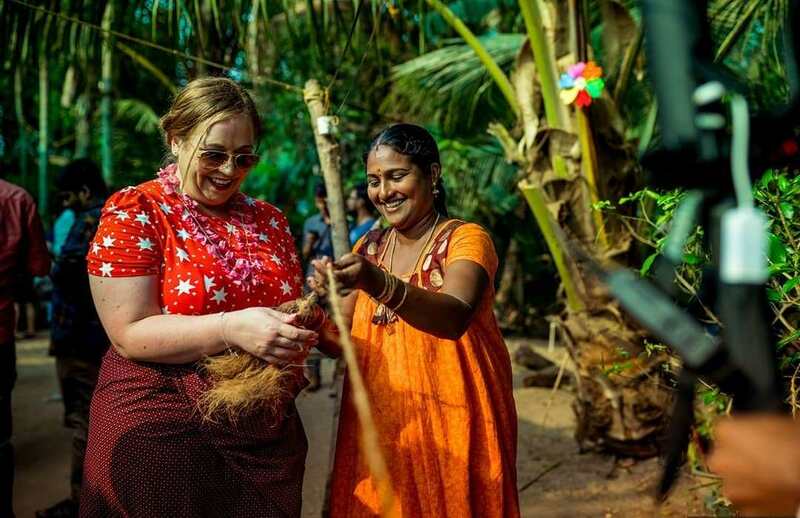 There are many spots where you can get a feel of the quintessential Kerala village life but Kumarakom stand out as some of the best village tourism experiences. Many of these experiences can be planned as day tours or add-ons to pre-planned Kumarakom backwater extension tour. Sometimes the most rewarding experiences in travel come when you interact with locals and get a peek into their lives. Village experiences are a perfect way to get o the tourist track and see something new. And may come across villagers engaging themselves in fishing, farming, women converting coconut coir to rope, pottery, toddy tapping and so on. Besides this, the village people also have traditional methods of doing things like bow & arrow fishing, organic backyard farming and broom making. This village tour offers you not only an informative tour but also a chance to try your hand at some of these things yourself thereby creating a memorable experience. This tour gives you a chance to see and experience the simplicity of life in a world uncluttered by the complex issues of urban man. Some unpretentious experiences like buying from local markets enjoying the cuisine at village home will make way for some memorable times. 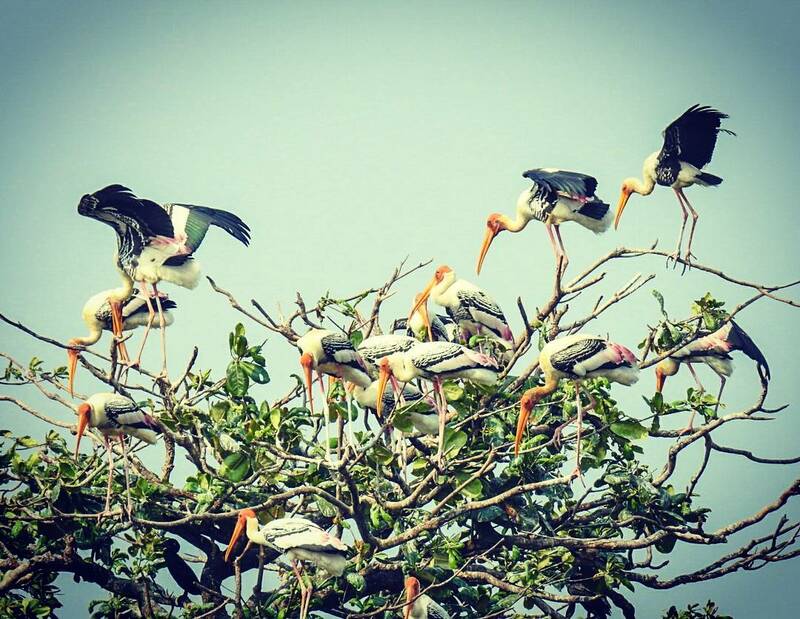 Kumarakom Bird Sanctuary is a small piece of heaven for nature lovers and bird watchers. Located on the banks of Vembanad Lake, this preservation ground is a habitat to plenty of common as well as endangered species of residential and migratory birds. These include Siberian Cranes, Parrots, Herons, Owls, Egrets, Darters, and Waterfowls. Exploring the sprawling 14 acres in a canoe is undoubtedly one of the most fascinating things to do in Kumarakom. Also visit: Pathiramanal, the fascinating island called the Sands of Midnight on the Vembanad Lake, can be reached by boat from here. As a prestigious winner of Green Leaf certification for authenticity and excellence of spa, it offers expertise and professional service excellence in Shirodhara, Ksheeradhara, Padabhyanga, face massage, Njavarakizhi, Patra Potala Swedam, and Udwarthanam. 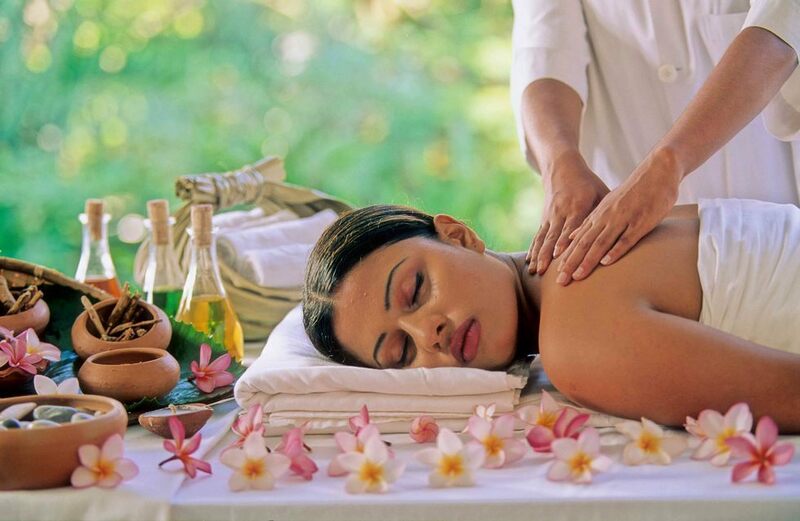 This wellness centre in Kumarakom is where a team of highly trained & competent professionals take care of you. Also one can get pampered into the traditional western amenities for those who used to it. Tip: Ayur Sanjeevani is quite popular amongst tourists and hotel residents, so a prior reservation is a must. Charges: Depending on the service(s) the charges vary. For details click here. Kerala is a land of colorful culture and vibrant traditions. Kathakali – the traditional dance form – is an integral part of the Kerala culture and is practiced across the state. The bold dance form, its dynamic mudras, diverse facial expressions, and the charismatic accompanying rhythm make the ambiance magical and mythical. Watching and enjoying the beauty of these dance performances is one of the mesmerizing things to do in Kumarakom. 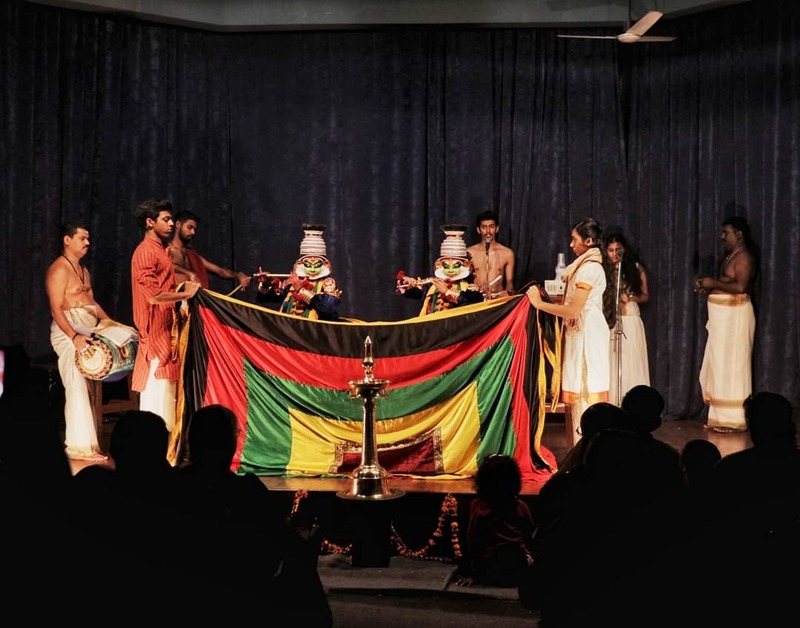 Siva Ganga Art Village arranges performances of Kathakali, Kalaripayattu – a traditional martial art form of Kerala, performed by local artists from 7 pm onwards. Special Shows are arranged for big parties as and when required. Cycling and leisure stroll along the lakeside while enjoying the mesmerizing backwater landscape is a perfect treat for the mind and soul; and one of the best things to do in Kumarakom. The lush green plantations, blue lake water, picture-perfect rural landscape and chirping of birds intoxicates the mind completely. Cycling through small fishermen villages and lush coconut trees, would experience colourful villages where local life has slow pace. Experience the fisher floks life style & their acumen in indigenous fishing techniques when we pedal along end of the backwaters. Kumarakom is a fantasy land for nature enthusiasts. One can fritter the entire stay peacefully with pleasure and delight simply by taking bicycle through the small piece of heaven on one’s own space. If you happen to be in Kumarakom between August and September, you can be a spectator to the world famous boat races, such as the Sree Narayana Jayanti Race, Kavanattinkara Boat Race, Thazathangady boat race, and Payippad Jalolsavam. The thrilling boat races change the serenity of backwaters and make the ambiance fiery and sizzling during this fun-filled competition. Viewing this super cool boat competition is one of the most fun things to do in Kumarakom. Opening hours: Every year timing for each of these races vary. So for the current year, check out the festival calendar. Entry charges: Check the official website of KTDC for details about the dates and tickets. If antiques interest you then Kumarakom has its share of shops selling curios, like, bronze lamps, household utensils, decorated traditional door latches and urulis. Shops also stock mementos like houseboat models, coir products, etc.One must try and explore the local street markets of this Kumarakom. Gorgeous Kerala silk sarees, antique handicrafts like bronze & metal statues, camel-bone carvings, wood carvings, embroidered screw pine mats, and Kathakali masks are the best things to pick while shopping in Kumarakom. If you are a foodie at heart, Kumarakom will not disappoint you. Tempting Kumarakom backwater cuisine will certainly entice the soul and would spoil your taste buds for good. And a pilgrimage through these mouth watering factories are first thing to do in Kumarakom for those gastronomical obsessions. Tharavadu: Ever since its inception in the year 1979, Tharavadu Restaurant has attracted tourists and travellers who come to Kumarakam with its Kerala food items. After undergoing some changes down the years, the restaurant now sets a perfect example for every other toddy shop in Kerala. Varal Meen Curry, Crab Roast, Podimeen Fry, and Tharavu Curry are some of the dishes you must try from here. 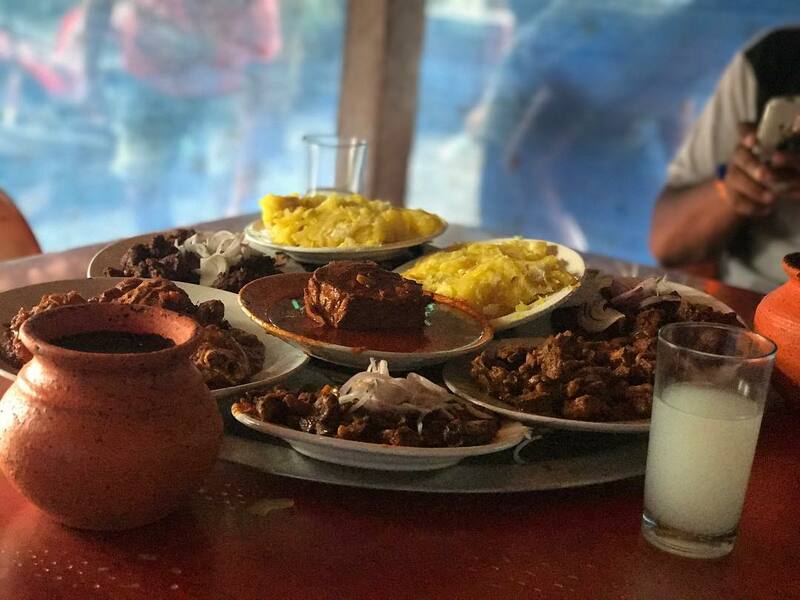 Kumarakom Toddy Parlour: Kumarakom Toddy Parlour has become a distinguished food spot among the travellers for its great food and family-friendlyambience. This is a restaurant that offers good food at a reasonable price. The close-to-nature feel of this place is also a main reason behind its popularity. Karimeen Pollichathu, Crab Roast, Prawns Roast, and Duck Roast are some of the main dishes to try from here. Pallipadam Toddy Parlour: A glass of toddy and some great Kerala dishes…..Doesn’t it sound to be a perfect combination? Well, indeed it is and what more you can ask when you can get to relish both under one roof in this quaint pallippadam shap. Varal Meen Curry, Crab Roast, Podimeen Fry, and Tharavu Curry are some of the dishes you must try from here. One can also try out authentic Kerala cuisine in Pearl Spot and Kudumbasree Restaurant. There is a lot to see, do, and discover while one is sightseeing in Kumarakom. Try the traditional foods, engage into shopping in Kumarakom, and feel the extravagant beauty of the backwater landscape. October – February is the best time to visit the popular places to visit in Kumarakom. The temperatures are moderate and the climate is perfect for sightseeing, houseboat cruises, and to enjoy the scenic beauty of the region. Coming to the actual itinerary of your trip, here is a detailed list of cool things to do in Kumarakom that must be a part of your plan. Pick your choice and plan your trip to the enchanting backwater destination accordingly.